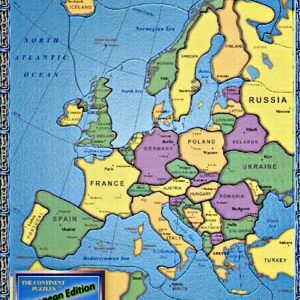 Childrens map puzzle of Europe. This wonderful map puzzle will definitely keep your child busy for hours and hours. 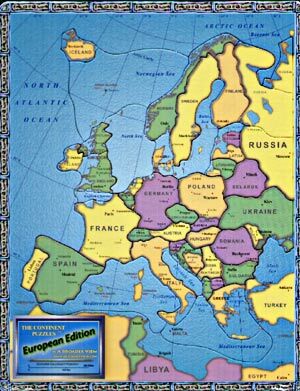 Help your child learn the geography of the world! Map includes country names, state/provincial names, bodies of water and major cities. Reverse side of puzzle even has additional data for each country represented including the Capital, population and land area.